Carleton Tower is located within walking distance of Centennial/Assumption Park, the Detroit River and the University of WIndsor. IT is a short 10 minute drive to the St. Claire College campus and just minutes from the U.S. border. 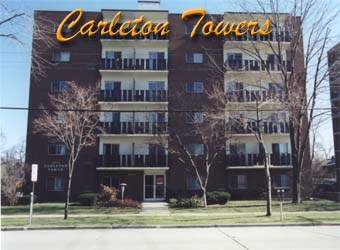 Elementary and High schools, University Mall, churches, hospitals, recreational parks and arenas are also located within a short walk or drive of Carleton Tower. In addition, the Central Core is directly east on University Avenue and major thoroughfares like University Avenue and Huron Church Street are easily accesible.